In combat, the refueling of tanks and trucks took place in the field, and crews used pails, makeshift funnels, sections of hose, etc. 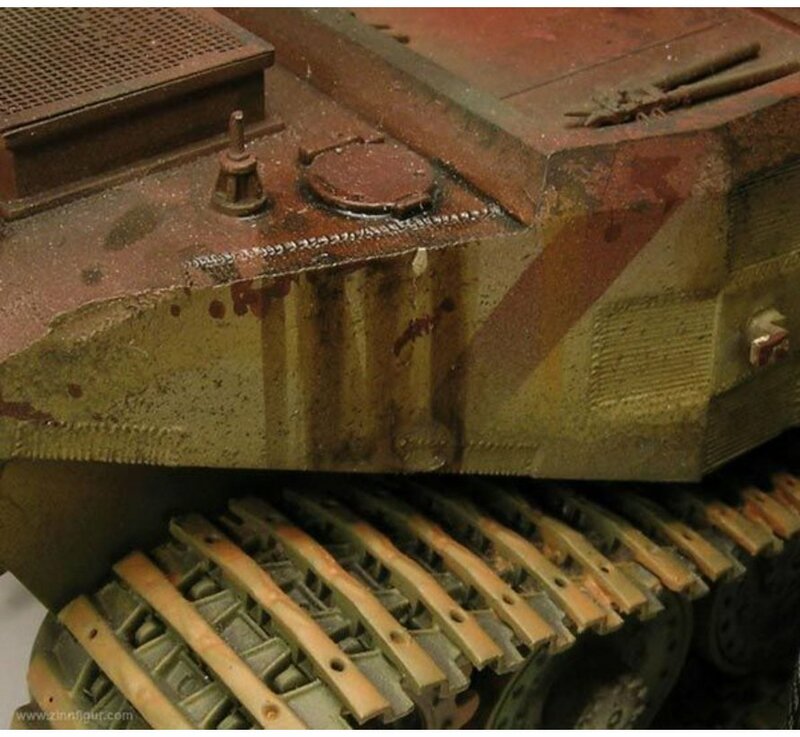 ; the fuel was spilled all over, leaving characteristic traces on the vehicles. 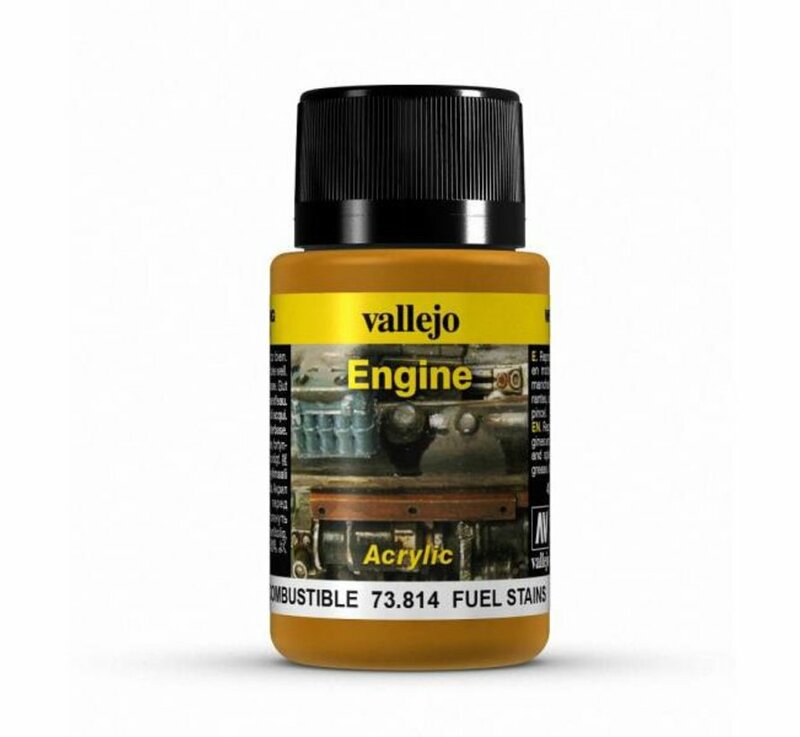 Vallejo Fuel Stains Engine Effects Weathering Effects contains 40ml Fuel Stains Engine Effects. A vehicle with an engine has many moving parts -the transmission, wheels and axis, tracks, hinges and chains- all of them mechanisms subject to traction and movement which have to be lubricated to function correctly. In addition, the internal combustion engine needs fuel, and dust accumulates, while dirt forms a part of this mechanical and dynamic context. 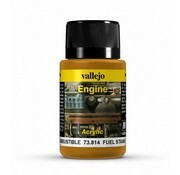 The range of Engine Effects offers the modeler a series of references to reproduce the fuel stains, the spilled oil (leaving a trail of drops on the vehicle panels and in the dust of the road), the marks left by the oil drums on the floor of the truck, the dirt accumulated in the engine compartment, all these to enhance the realistic aspect of the model.